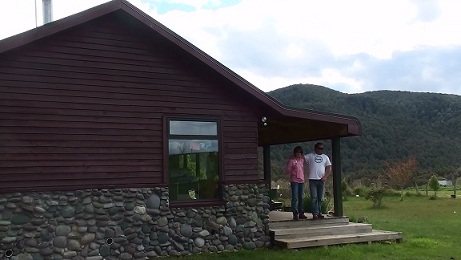 Kepler Oaks Chalet self contained farmstay trout fishing Te Anau accommodation. Learn more about Kepler Oaks. 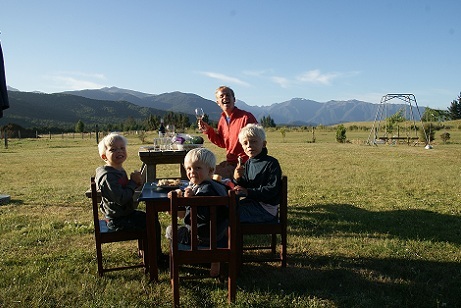 Situated only 200 metres from the famous Waiau River and only 600 metres from Lake Te Anau, Southland New Zealand. A fishermen’s paradise. This Te Anau accommodation is within the Fiordland National Park Scenic Reserve. The Kepler Oaks is a charming completely self contained 2 Bedroom Chalet, situated in a delightful rural area of Te Anau New Zealand. The Chalet is located on 13 acres, above the grand Waiau River and just 10 minutes walk to the start of the famous Kepler Track. The Kepler Oaks accommodation is close to Te Anau and has superb mountain views of the Fiordland National Park, a World Heritage Park. This Chalet accommodation is suitable for the most discerning of travellers. Helen, your hostess will look after you, leaving you free to relax and enjoy yourself in one of the most beautiful parts of the world. Take advantage of our local knowledge as we are happy to make reservations on the many trips and tours in the area. 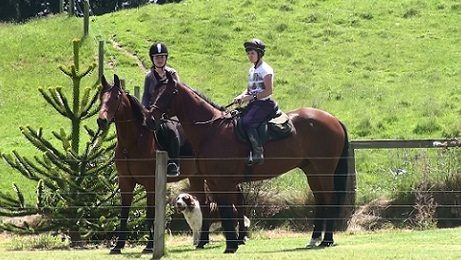 If horse riding is your passion, why not use Helen as your personal guide. Just imagine waking up and going for a trek along Lake Te Anau or the Waiau River. In the winter you could ride with the hounds and attend one of the most beautiful horse hunts in the world. Te Anau is the gateway to Fiordland, and is known as the walking capital of the World. The famous Milford Track, The Kepler, The Routeburn, The Greenstone and The Hollyford start here. Be sure to pre-book your accommodation especially over the Christmas/New Year season and January, February, March. Make sure you allow at least two nights, preferably more, for your stay in Te Anau as there are so many things to do and see. You will be sure to enjoy our top quality accommodation and we look forward to making your stay with us a memorable experience. Copyright© 2012 Evans Pindar Trust. Kepler Oaks. All Rights Reserved.